Reinvention keeps the classics alive. Situated in the iconic ‘Geozavod’ edifice in the very heart of Belgrade’s old town, Salon 1905 offers a truly one of a kind fine dining experience. The turn-of-the-century landmark building is a masterpiece of mixed Baroque and Art Nouveaux architecture, with a spectacular interior wrapped in glistening brass, marble and gold. Of course, inside is the same kitchen that made their brand a Belgrade household name. Signature Foie Gras and T-Bone Steak are on the menu, along with a number of premium additions to make your tastebuds sing and soar. Restaurant & Bar: You step inside the breathtaking building reminiscent of the finest Viennese and Parisian traditions, and you immediately feel at home. That’s because they wanted to keep the same feeling of cosiness and intimacy that our sister restaurant Salon 5 became renowned for. With all the opulence inside 1905, the style is tasteful and refined. Just like our food. If you’re looking to unwind after your dinner, our massive oak bar makes an ideal spot for a late night chill. The Kitchen: They serve the real thing. Finest Mediterranean cuisine, using only fresh high quality ingredients for each one of our dishes. Their kitchen is known for keeping the recipes simple yet powerful. The team’s vast international experience in the gourmet industry adds an extra layer of class to your experience every time. We advise you to sit back and relax, and let the house do the magic. . Spice up your weekend night out with the smoothest jazz in town. 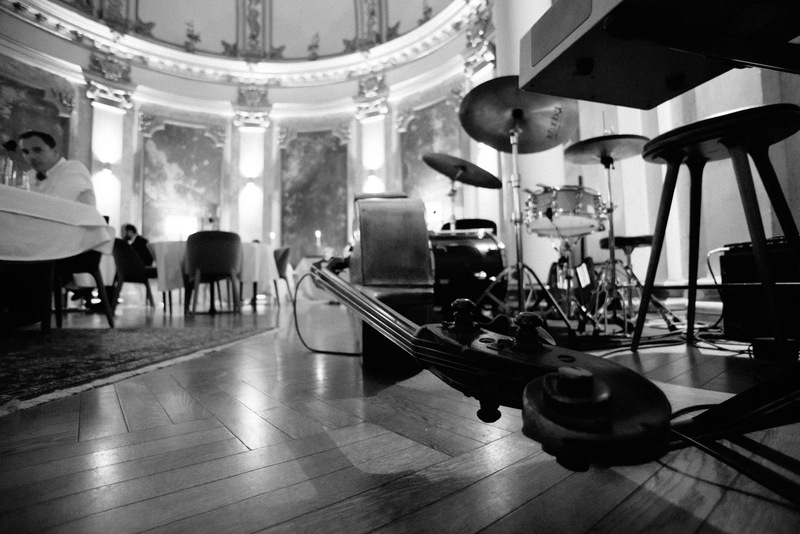 Every Friday and Saturday, Salon190 5 has live band plays a classy selection of standards, from Django to Chet, to keep your evening in full swing.